Objective In urban traffic detection, the wide application of intelligent video surveillance provides the visual research interest on artificial intelligence and advanced computer vision technology to retrieve and recognize the foreground object in video and its further analysis, such as feature extraction and abnormal behavior analysis. However, when facing complex environment, the discontinuity of the dynamic background causes loss of a small part of the future target image information, false detection, and misjudgment. Constructing an effective and high-performance extractor has two core issues. 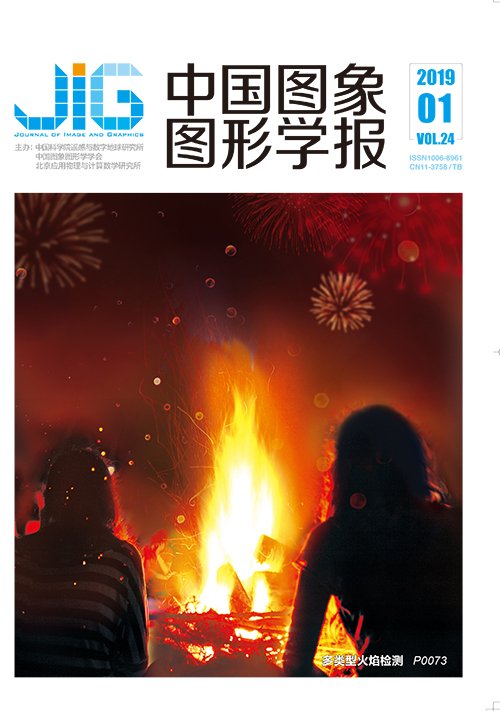 The first issue is the detection of speed and efficiency. If the video object can be extracted in advance and can determine which video frames do not contain the foreground object, it is directly eliminated in the earlier period, only concerning the image with a significant foreground target, which greatly improves the detection efficiency, because of the large video data. The second problem involves the object integrity in complex environments. Effectively extracting the foreground part of the video sequence becomes the key to the reliability of subsequent algorithms. Method This paper proposes a robust principal component analysis (RPCA) optimization method. The classical RPCA detection method uses the l0-norm to independently determine whether each pixel is a moving target and is not conducive to eliminate unstructured sparse components due to noise and random background disturbance. This paper aims to maintain the good robustness of the algorithm in the complex environment and optimize the RPCA initial filtered image. 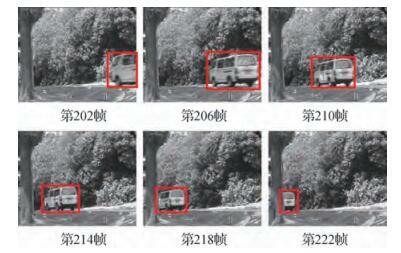 In order to quickly screen and track the foreground target, a fast extraction algorithm for the saliency target frame number is designed based on the frame difference Euclidean distance method to determine the detection range in the key frame neighborhood. Through the establishment and the solution of sparse low-rank models and based on the initially filtered foreground target image, parallel recognition of the foreground target seed is performed to remove the dynamic background in the foreground target image. Also, as observed from several mask images after gray value inversion, the foreground target pixel has a small gray value and strong directionality. 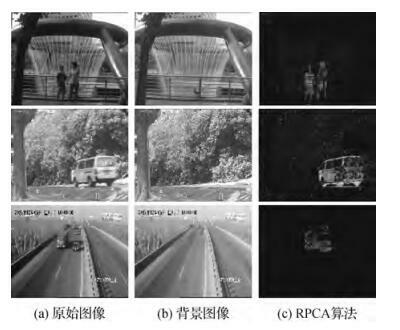 Therefore, the design ideas for the parallel recognition and optimization connection method of the foreground target seed are:1) By using gray pixel seed recognition, gray value inversion of the source image, and verification according to the gray scale and symmetry detection, grayscale pixels are identified as foreground and non-foreground target sub-blocks; 2) Grayscale pixels are optimized for connection, and foreground target seeds are connected according to grayscale values and directional similarity, followed by fusion and multi-template denoising; 3) Seed filling is used for foreground targets to enhance the connectivity and make the target more complete. Simultaneously, the foreground objects in the mask image are classified into regular and irregular class. 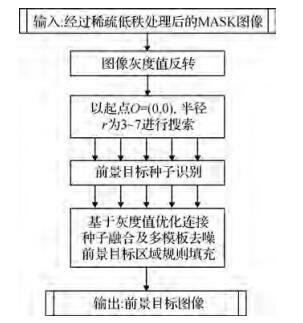 For the fault separation of irregular targets such as pedestrians and animals, the vertical seed growth algorithm is designed in the target region. For the foreground targets of rules such as car and ships, the foreground seed in the design region is vertically and horizontally connected to remove the holes and the impact of the lack of structural information. Result The foreground target extraction is highly robust in complex environment with challenging interference factors. In the four groups of classic video of the database and the two videos of Shanxi Taichang Expressway, the dynamic background has the flow of water, swaying leaves, the slight jitter of the camera, and the change of light shadows. 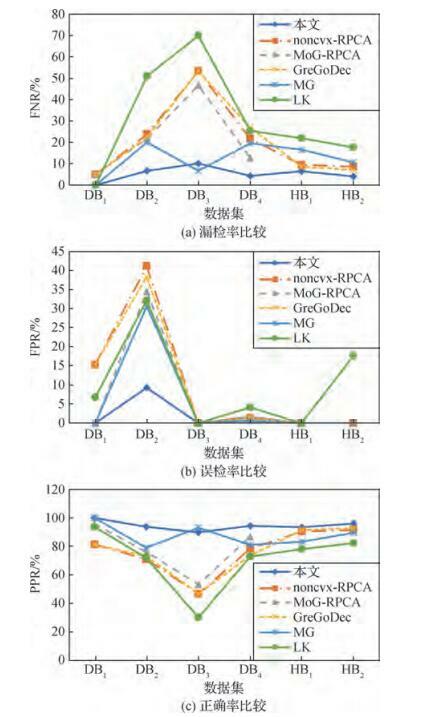 In addition, the experimental results were analyzed from three perspectives of the application effect, the accuracy of foreground target location, and the integrity of foreground target detection. The significance of target extraction algorithm has achieved an average accuracy of 90.1%, an average recall of 88.7%, and an average F value of 89.4%, which are all superior to other similar algorithms. Compared with the mixed Gaussian model and the optical flow algorithm, the complex background brings a large noise disturbance. The Gaussian mixture model uses a morphological algorithm to remove the noise filling holes, giving the detected foreground target more viscous information. At different shadow area, the detection effect varies greatly. 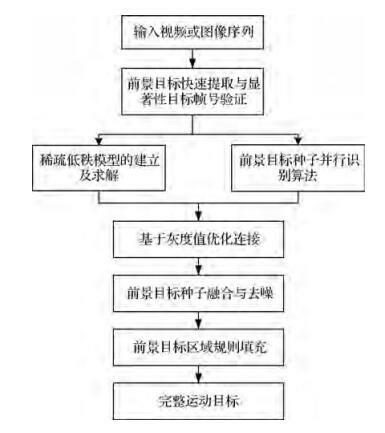 Furthermore, the optical flow algorithm is sensitive to light, and the changed light is mistaken for optical flow, which is not suitable under strict environmental requirements. Conclusion In this paper, by quickly locating the salient foreground, a parallel seed identification and optimized connection algorithm for RPCA initial screening image is proposed. The qualitative and quantitative analyses of the experimental data show that the algorithm can separate the foreground target from the dynamic background more quickly, reduce the adhesion between the foreground object and the background, and more effectively retain the structural information of the foreground object in the original image. 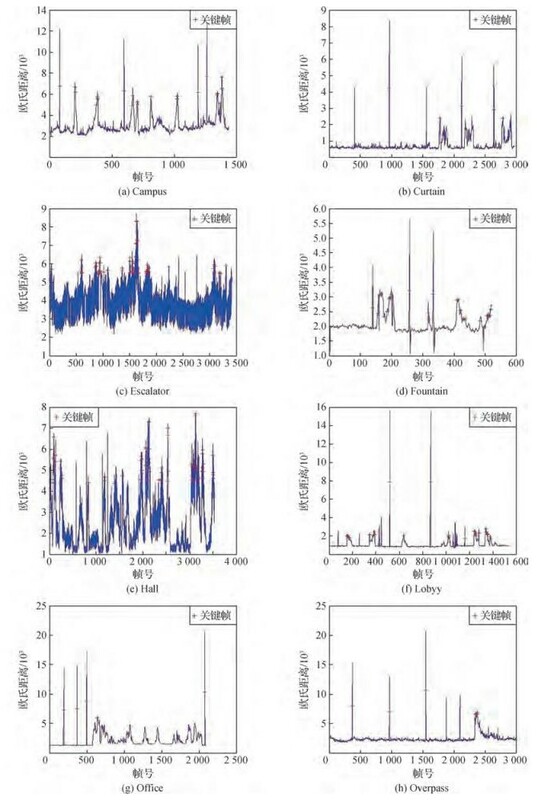 In the following studies, deficiencies in the overall model and the algorithm details are continuously optimized. In the face of abnormal light rays, shadow suppression can be combined to make it more robust, and the performance and effectiveness of the algorithm are improved in more complex environments such as drone mobile video, which provides data support for feature extraction and abnormal behavior analysis. Araki S, Matsuoka T, Yokoya N, et al. Real-time tracking of multiple moving object contours in a moving camera image sequence[J]. IEICE Transactions on Information and Systems, 2000, E83-D(7): 1583–1591. Karmann K P. Moving object recognition using an adaptive background memory[M]//Cappellini V. Time-Varying Image Processing and Moving Object Recognition. Amsterdam, the Netherlands: Elsevier, 1990: 289-307. Stauffer C, Grimson W E L. Adaptive background mixture models for real-time tracking[M]//Proceedings. 1999 IEEE Computer Society Conference on Computer Vision and Pattern Recognition. Fort Collins, Colorado: IEEE Computer. Soc., 1999. Horn B K P, Schunck B G.	Determining optic flow[J]. International Journal of Artificial Intelligence, 1981: 185–203. 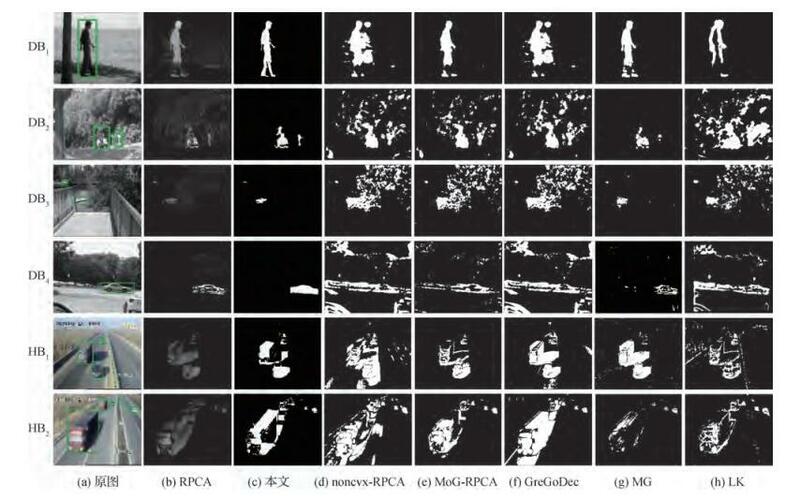 Lucas B D, Kanade T. An iterative image registration technique with an application to stereo vision[C]//Proceedings of the 7th International Joint Conference on Artificial Intelligence. Vancouver, BC, Canada: Morgan Kaufmann Publishers Inc, 1981: 674-679. Luo Q, Han Z, Chen X A, et al. Tensor RPCA by bayesian CP factorization with complex noise[C]//Proceedings of 2017 IEEE International Conference on Computer Vision. Venice, Italy: IEEE, 2017: 5029-5038. Zhou T, Tao D.	Unmixing Incoherent Structures of Big Data by Randomized or Greedy Decomposition[J]. Computer Science, 2013. 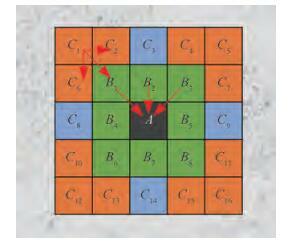 Li Q Q, Zou Q, Liu X L.	Pavement crack classification via spatial distribution features[J]. EURASIP Journal on Advances in Signal Processing, 2011, 2011: #649675.